To submit news, send e-mail to the contact team. An essay on the founding of the NLM site: "A new liturgical movement"
What Did Christ Really Look Like? How is Your TLM Doing? 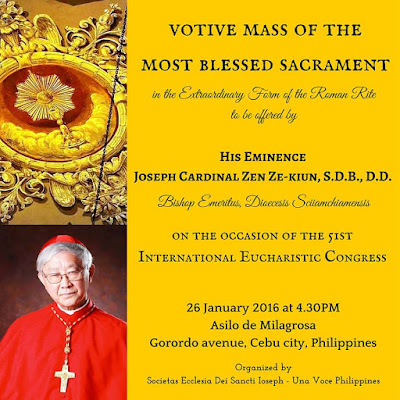 His Eminence Joseph Cardinal Zen Ze-kiun, Bishop Emeritus of Hong Kong, will celebrate a Pontifical Votive Mass of the Blessed Sacrament in the Extraordinary Form, as part of the 51st International Eucharistic Congress. The Mass will take place tomorrow, January 26, at 4:30 p.m. Asilo de Milagrosa, Gorordo Avenue in this Cebu City; see the invitation and poster below. 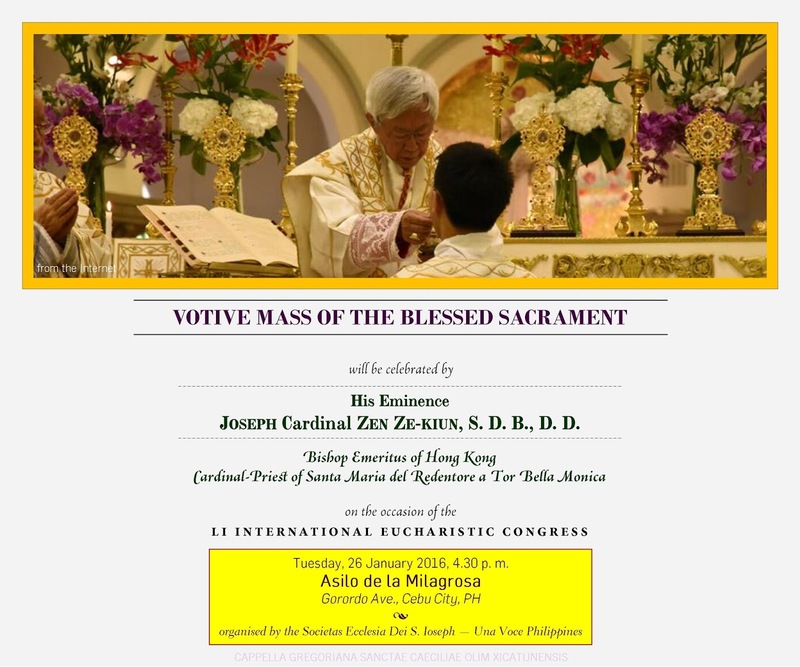 The Societas Eccelsia Dei Sancti Ioseph (Ecclesia Dei Society of St. Joseph) – Una Voce Philippines organized and sponsored the TLM to be celebrated by the cardinal.